Look at this beautiful carpet repair done by our technician, Brandon! 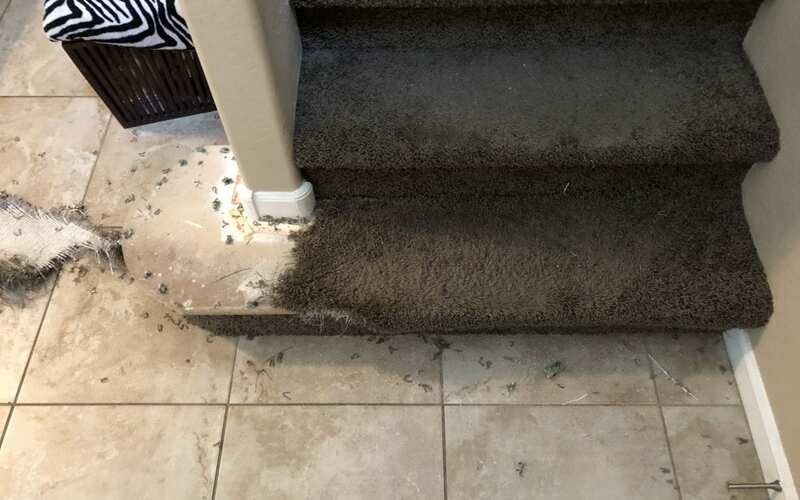 This customer called us out to her home in Gilbert due to pet damage from her dog. Taking matching carpet from the back of her closet we were able to cut out the damaged area and permanently graft in the new carpet making the stair look good as new. We give free estimates over the phone based on approximates sizes. We also offer additional services such as Carpet Cleaning, Carpet Stretching, Upholstery Cleaning and Tile & Grout Cleaning and Sealing. Call our office today at 480-360-4430!